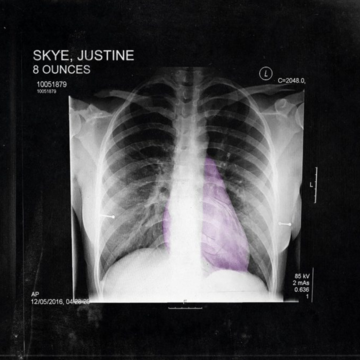 Justine Skye partners with Wale to deliver "Fun." Justine Skye just announced a new project titled8 Ounces, set to hit stores Friday at midnight. One of the songs on the EP is "Fun," a syrupy ballad featuring Wale. Skye sings to a potential lover that she's willing to do whatever it takes to be with him. The Brooklyn-bred Skye has had a good year so far with "U Don't Know," which featured Afrobeat star Wizkid. "Fun" is no doubt a more down-tempo track though. The 21-year-old purple-haired songstress, who left Atlantic Records for Roc Nation, hired The-Dream to write all nine songs on the EP while Tricky Stewart handled most of the production side. Stream "Fun" at Apple Music now.